So, the zombie apocalypse seems like a pretty rough deal for we humans, no? After it happens, we are likely destined to live a life of constant fear, jumping at every little sound that might be a legion of the undead. Face it: when it happens (and it will happen), we are fated to become resourceful survivalists, scavenging for any supplies we can get our hands on, lest we become a quick meal for the living dead. But do you know who doesn't have a rough time of it during the zombie apocalypse? Zombies. For them, it's like an all you can eat buffet of delicacies. That's why you should choose to be one of those walking rotting corpses before it happens! Jump the gun! With this Adult Rotten to the Core Costume, you can be a kind of zombie hipster, if you will. You became a zombie before it became cool (or, shall we say, necessary). In this costume, you will have no problem acclimating yourself to living the life of an undead abomination! 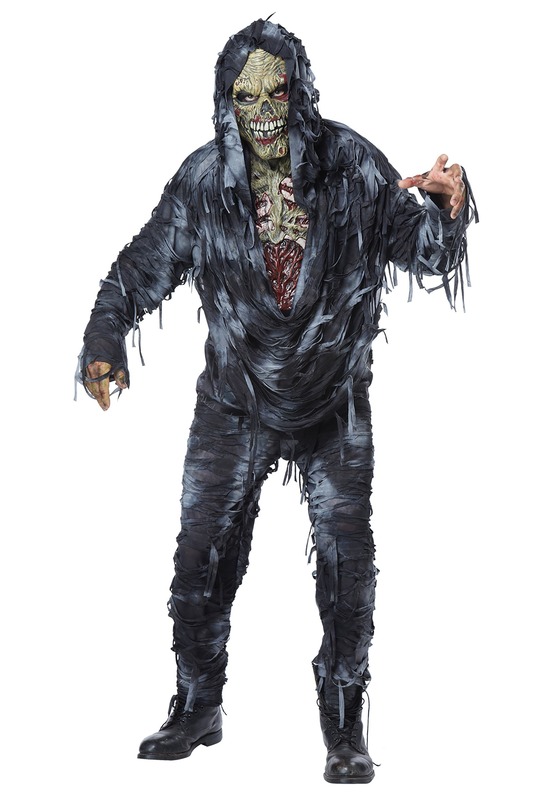 The outfit is modeled after some of the most horrific monsters from their popular depictions in horror films and television shows, so you'll be one of the most hideous walkers out there. It even has molded pieces that look like exposed bones and rotting flesh to give that not-so-freshly dead look. Of course, we don't condone eating the living, so until the real zombie apocalypse happens, you should stick to just scaring people with this costume.